If you have been following my blog for awhile, you know I’m both a geeky tech guy and a food loving foodie. Orlando finally create the perfect event for me: Trucks and Tech. Trucks & Tech is a mashup between two cultures that I love – foodies and techies. The event will be held on April 25th at 6:00pm at the parking lot of the old Amway center in Downtown Orlando, right next door to the Bob Carr Performing Arts Centre. It will feature some of Orlando’s best food trucks along with technology discussion and demonstrations. The event is hosted by Ted Murphy of IZEA and co-sponsored by Ad 2 Orlando and will feature leading minds from the technology and social media worlds. I’ll be one of the featured event bloggers (@professorjosh), along with my foodie friend Gustavo Hernando from @dafoodie. 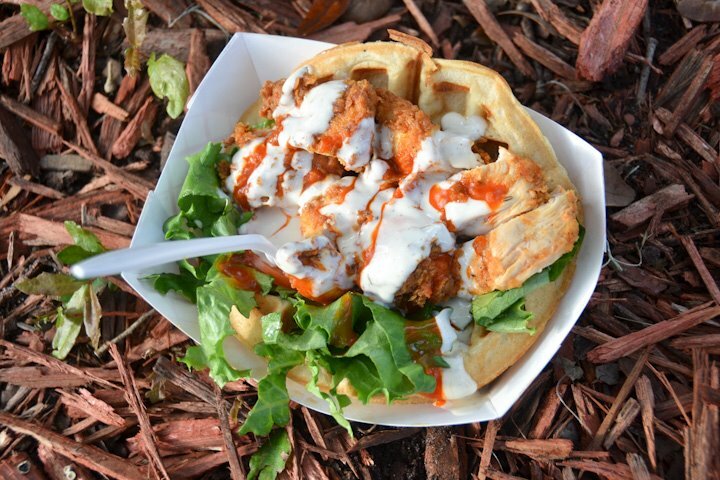 I’m ready for a bite from one of my favorite trucks: Melissa’s Chicken and Waffles. Hope I can make it over! It sounds like a great event, and I would love to see these occur more regularly.